Jaipur, 29 January. Ranked as one of the prestigious film festival among the other Asian film festivals, JIFF -2013 will start from 30th Jan in Golcha Cinema at 5pm at Golcha Cinema. 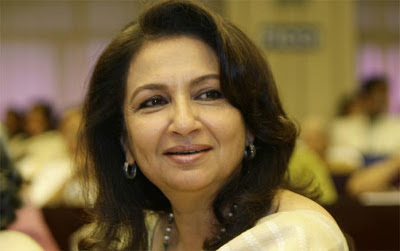 Famous Bollywood actress Sharmila Tagore will be honoured by JIFF lifetime achievement award-2013 on 30th Jan at 5.00 (Venue Golche Cinema during the opening ceremony). 217 films will be screened in 11 screens at 8 different places of the city during the five day film festival. There are 28 awards in different categories. Oscar winning director Marc Baschet is the chairperson of international jury of 14 members. LIFE GOES ON is selected as the opening film of JIFF. Om Puri and Sharmila Tagore are in lead roles followed by Soha Ali khan and Girish Karnad. Film is directed by London based Sangeeta Dutta. Keeping in view the worldwide fame of JIFF, the organizers have arranged 16 workshops and seminars on various cinema related subjects. The cine personalities, going to participate in these seminars are Jaiprakash Chowksey, Komal Nahta, Arun Dutt, B.B Nagpal, Prasoon Sinha, and Santosh Jain. One of the major attractions of JIFF will be “Best world cinema”, screening of films which have already been awarded in festivals such as Oscar, Berlin, Canes, Bafta etc. Modest Reception (Greece), one thousand gram (Germany), the etic (Greece), Mumbai (India) some of them. Following the 100 hundred years’ celebration of Indian Cinema, there is also screening of 7 classic movies including Dada Saheb Falke’s harishchandra chi factory, daag by Yash Chopra, Gurudatt’s kaagaz ke phool, K.Asif’s mughl-e-azam, Mahesh Bhatt’s saaransh, and Vishal Bhardwaj’s makbool.